Since my little excursion to Ireland there has been very little in the way of biking. 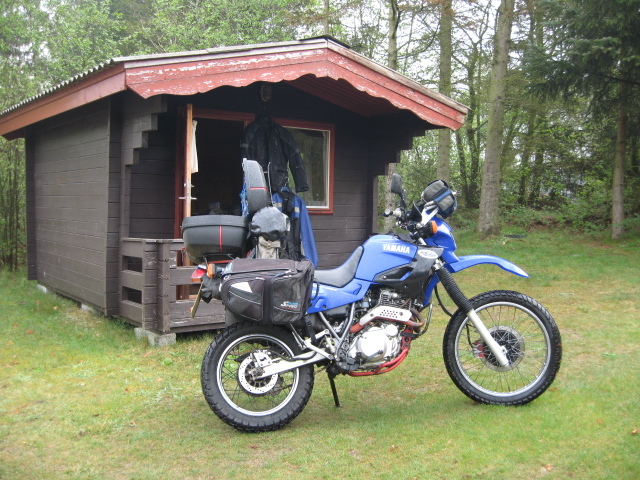 There has been a number of camping trips that have been most memorable some with Mike and Neil involved and some without. One in particular was myself and a friend called Ralph canoed the entire non-tidal section of the Thames in aid of cancer research. A week long self supported 130 mile trip in the worst weather you could wish for. If you are terribly bored you can read the write up over on sausage n splash. 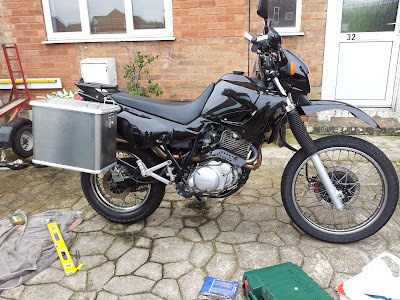 Now back to jangly type activities My tried and trusted XT600 has slowly become tired and rusted, it also required a little bit of attention to a weeping cylinder base gasket. Here starts a tedious rambling on the new lease of life of my XT. To gain access to the engine and aid its removal i removed the seat, tank and all plastic side panels. Armed with a box of spanners i set about disconnecting all the gubbings that make bikes go VROOM VROOM. 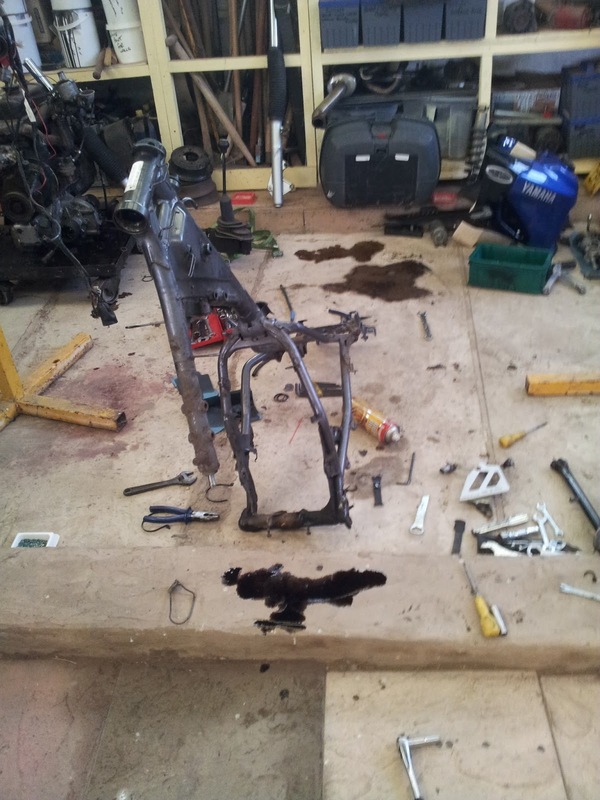 Whilst doing this i'm trying very hard to ignore the state of the frame that unveiled itself when i removed the seat etc. It was now or never. A quick phone call was made. Yes Loz I'll paint the frame if you get it shot blasted. Happy with correct response to my plea for shinyness i continued to not just remove the engine from the frame but to remove everything! 3 hours later i had a frame and several boxes of bits. 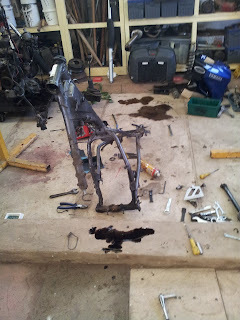 The plan now was to send the frame for blasting then offload it to make shiny again. Quite a simple plan you would think. This is janglesville and nowt is as simple as we make it look. Other than ourselves that is. 3 weeks passed until i got hold of a local guy who came highly recommended (how dare he take a holiday) Still, no panic, i can crack on with the engine. 3 hours with a box of spanners. The barn that i was using to house my new airfix kit in just so happens to belong to the guy who so kindly offered to paint the frame, and when i dropped it back off after shot blasting he kindly asked "Do you want everything painted?" That took all of a nano second to process and the whole thing snowballed. build up have fallen out of my phone. pieces are machined from nylon bar then cut into the sections you can see. 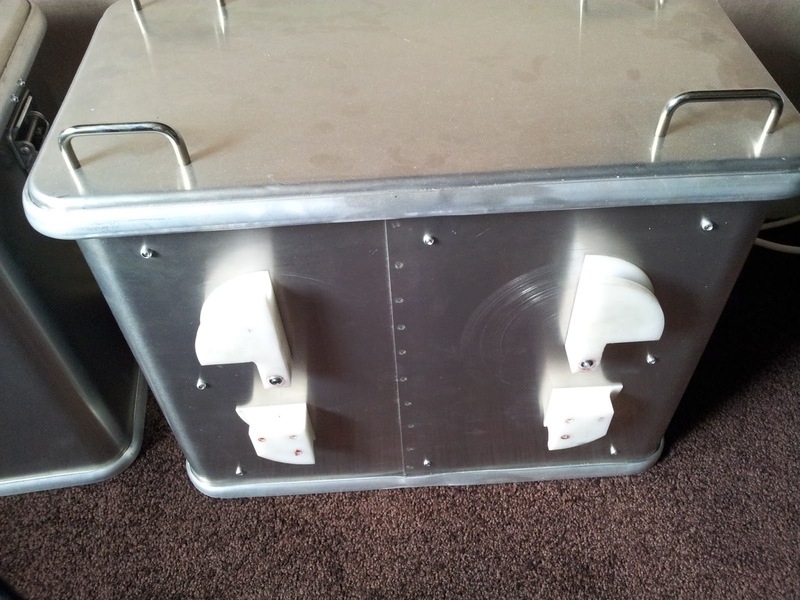 Each piece sits around the tubular frame and holds the pannier secure. when the lids are locked in place. And there she is, in all her new glory. Many thanks to Rich for the splendid paintwork that now adorns my bike.